We proudly support our lesbian, gay, bisexual, transexual, queer, a-sexual and gender non-conforming friends, family, and allies. We attend Phoenix Pride every year to ensure that we show our support in volunteers as well as in dollars to support acceptance of all humans, regardless of sexuality or gender. All are welcome. All are loved. This happens every year in April. Please consider representing HSGP and showing your support by walking in the parade and staffing our booth. Ours is intended to be a secular government. However, the wheels of justice only turn when defended against the tyranny of injustice. We depend on you to stand at our side to raise your voice and be heard. 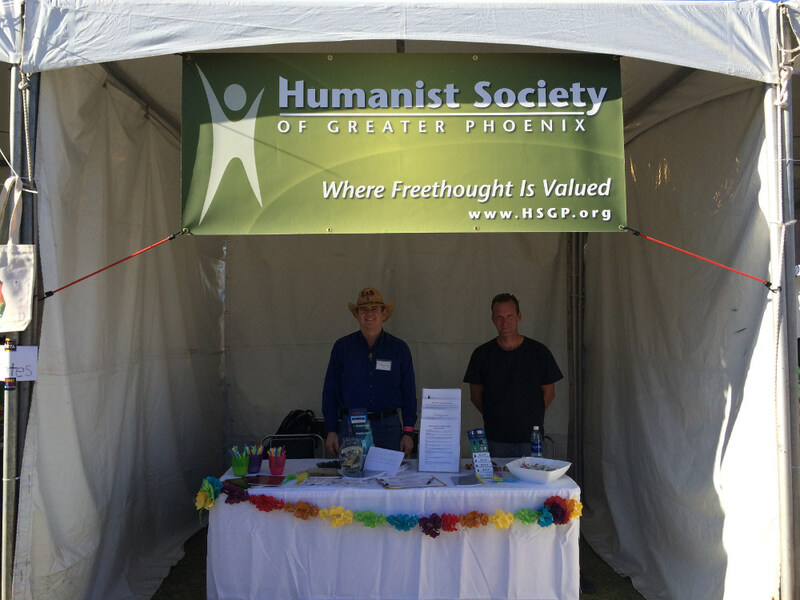 The Secular Coalition for Arizona is not part of HSGP, but we are closely allied with them. The Secular Coalition for Arizona needs your help contacting your representatives and being seen at various events. Please consider supporting them directly through donations or volunteering your time. Sign up for their mailing list to receive action alerts when your representatives need to hear your voice before making a key decision. Throughout the year, we’ll work closely with them to ensure that secular voices are heard by our representatives.